Direct from the West End and Broadway the feel-good international hit sensation PRISCILLA QUEEN OF THE DESERT THE MUSICAL is going on a road trip across the UK! 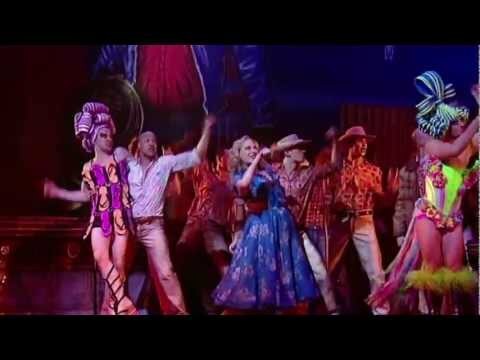 Winner of 4 WhatsOnStage.com awards, including Best New Musical, and based on the smash-hit movie, PRISCILLA QUEEN OF THE DESERT is the heartwarming, uplifting adventure of three friends who hop aboard a battered old bus searching for love and friendship and end up finding more than they had ever dreamed of. With a dazzling array of outrageous Olivier and Tony award-winning costumes and a hit parade of dancefloor favourites including It’s Raining Men, I Will Survive, Hot Stuff, Finally, Boogie Wonderland, Go West, Girls Just Wanna Have Fun, and I Love The Nightlife, this wildly fresh and funny musical is a journey to the heart of FABULOUS! Get ready for the ride of your life! PRISCILLA is “HUGELY ENTERTAINING… INSANELY GLITZY” – Daily Telegraph.